Getting bitten is the only part of being outdoors I do not enjoy, I am not sure anyone does like getting bitten. Even a rainy day in the woods is better than a sunny day in the office, however only the jungle strength products seem to work for me and they can leave me feeling nauseous. Then I found Wilma’s Beck Olja. The first warning I got from Mark at Shark Tinderbox was “It kept the wife away for three days” which I laughed at, turns out it is a very good wife repellant that doubles up and keeps biting bugs away. Joking aside I rather like the woodsmoke fragrance which comes from traditional pine tar production, it works well in the office as a quick smell of the contents takes my mind to a campfire in a forest instead of at a desk in London. 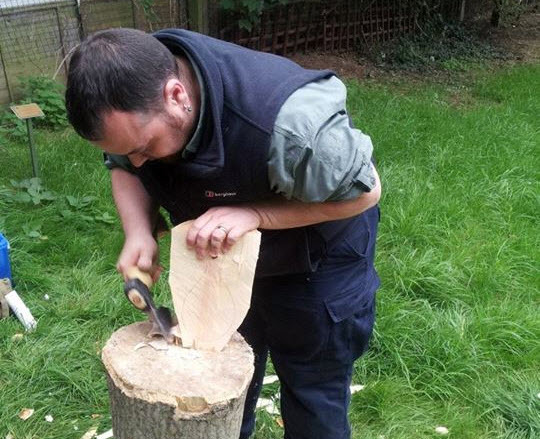 You need to reapply after a while and I was so engrossed in the wood carving I was doing that I forgot to add a few more dabs, this resulted in a bite on my arm. That is not a failure of the product, it was a failure to keep a sufficient level of protection by myself. 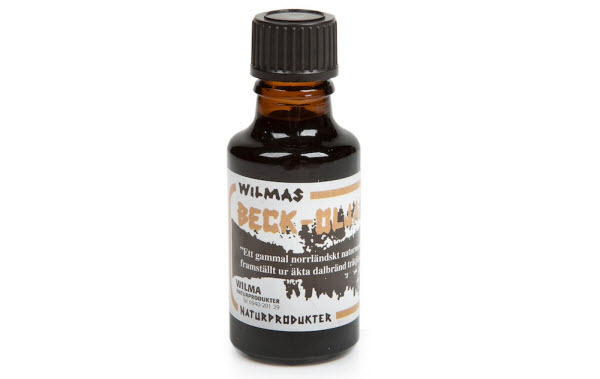 Beck Olja from Wilma’s is the original forest perfume of Swedish Lapland derived from traditional pine tar production. It is a multipurpose product Which is used in many of Wilma’s natural products. It has been used for centuries in Lapland by the people who have lived and worked there as protection against the dreaded mosquito plague in the summers. With a strong pine tar smell, this product evokes the fragrance of a northern Scandinavian forest. Available in 25ml bottles last for a long time as only a small amount is needed per application and it can be diluted if needed.